Wizards of the Coast has released the Limited Editions of the 2nd Edition of AD&D in some markets. I picked my copies on Friday. 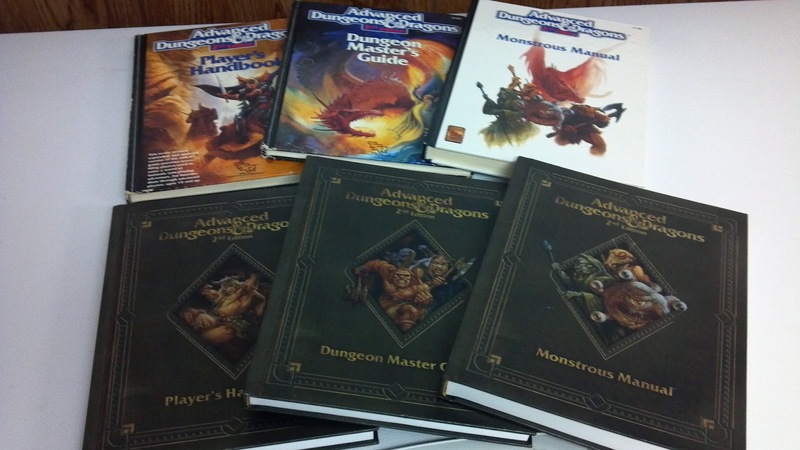 These are the reprints of the second printing of the Second Edition rules. Not the ones with the blue borders, but the ones with the red borders. So consequently the books these are the reprints of I don't actually own. 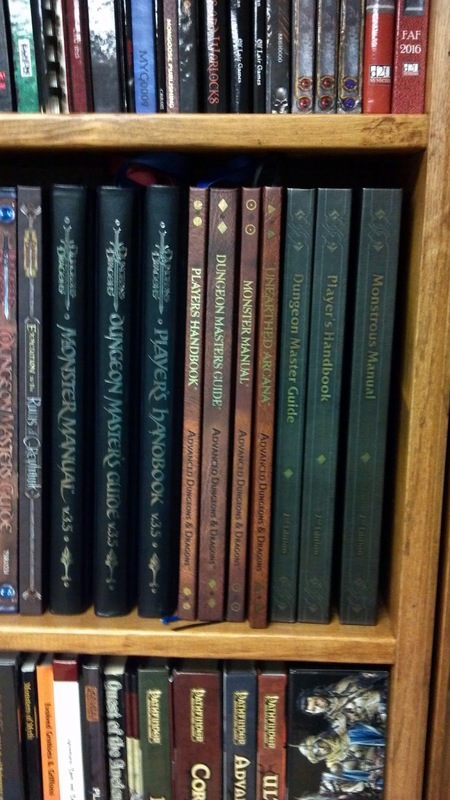 I do have the Monstrous Manual, my Monstrous Compendium long since gone. AD&D 2nd Ed feels like the forgotten edition of D&D. 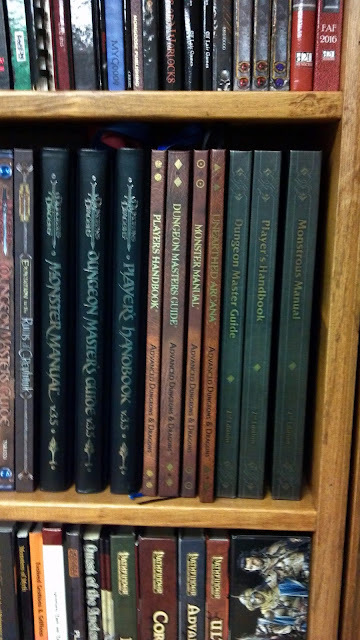 Sure there might be others, but between OSRIC and Pathfinder 2nd ed usually gets ignored, especially by me. 2nd ed was the game I ran in college but it is also the game that almost put me off of D&D for a while. These books are not cheap, $50 each, but they are nice and like I said, they are still somewhat new to me. I am going to enjoy going through these to be honest, the books look really nice and frankly I like sending the message to Wizards that these types of product are welcome. I also like supporting my Favorite Local Game Store. Though unlike the above editions, the 2nd eds do not have a ribbon. A little disappointing, but I didn't want to pay $75 each for them. Might have to play some 2nd ed some time.